Brush steaks with olive oil and season with salt and pepper. Grill steaks to desired done-ness while searing the outside. Ladle a small amount of Red Velvet Demi Glace onto the serving plate. 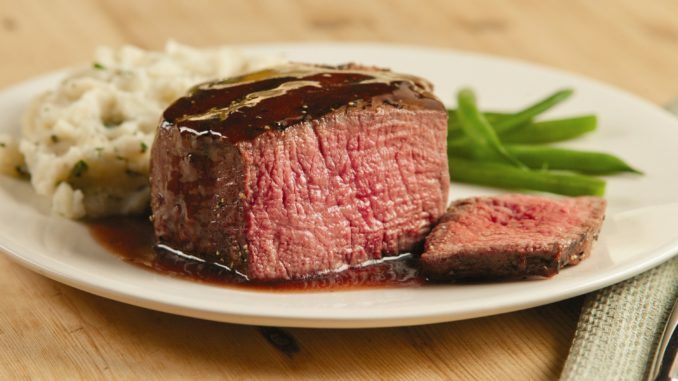 Place the steak on the Demi Glace then ladle a thin ribbon of additional Demi Glace over the steak. Heat olive oil in sauté pan. Add shallots and garlic, sauté until transparent. Add Cabernet Sauvignon and balsamic vinegar to pan, reducing liquids by 2/3. Add Demi Glace to pan and bring to a simmer for 5 minutes or until sauce has slightly thickened.